Belize. The third country in our travels. Avoided what seemed to be exiting Mexico scam by demanding a receipt at customs for what was a fee for our tourist visas, which we had already paid. As soon as I did that, my pesos were handed back to me and we were sent to immigration, where the same thing was attempted, until we produced our receipts. The next step was to drive over the bridge and enter Belize. Belize is picky about bringing the dog in, but we had done all the steps and everything was fairly straightforward. Dog in, us in, all that was left was to buy car insurance and head off to our first destination, Corazol Town. 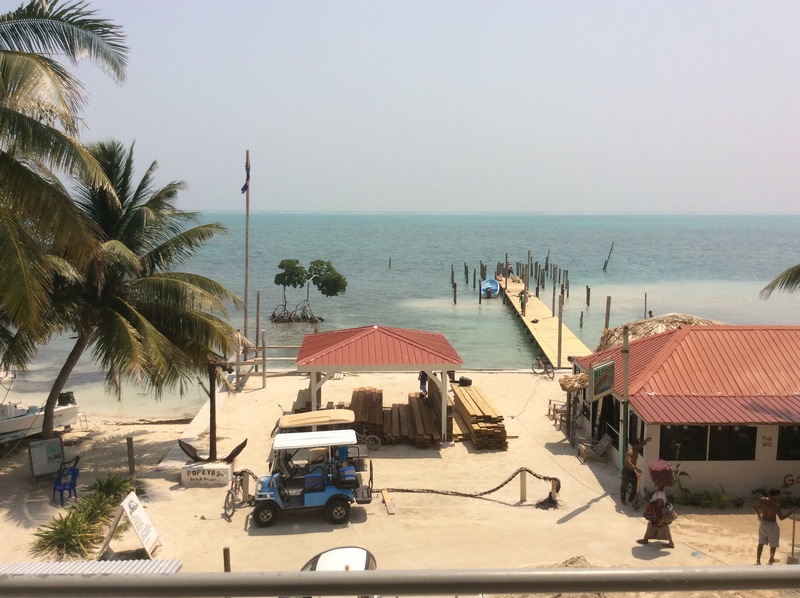 We camped at Corazol Town and early the next morning hopped a water taxi to La Isla Bonita – Ambergris Caye, Belize. The taxi was jam packed with produce and people, all going to our end destination, Caye Caulker. It looked impossible to get everything on board, but eventually we all got on. Finn, Paula and I hopped on the roof deck with the Captain and a half dozen or so Belizean men. Eight feet above the Caribbean and two inches in. Off we went at top speed, the wind whipping our hair, gums, and eyelids back. Paula did well holding onto her skirt until she tried to come and sit near me. It was at this point that she did her best to impersonate Marilyn Monroe over the subway grate. Paula, maybe, went a couple steps further than Marilyn as she struggled to not entertain the locals! In her defence, Paula said that the Captain had set her up and had asked her to move. We arrived at San Pedro, which was by laid back and in the thrall of golf cart culture. 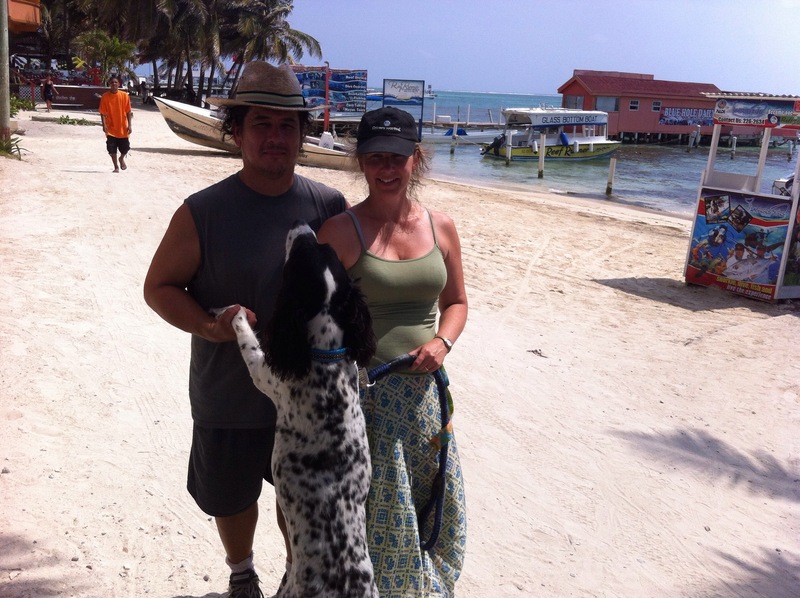 We made our way on foot across the island and in a few minutes found the next water taxi to Caye Caulker. Locals tell us that you can hardly walk in San Pedro for the golf carts, but Caye Caulker is much more laid back. La Isla Bonita . San Pedro, Belize. Another fun ride on the sea in a small boat and we arrived at Caye Caulker. Hearts full of excitement for our vacation within a vacation, we arrived at the hotel, only to be told that our reservation had been cancelled because they no longer took pets, despite what their website said. It took us a good three hours and near despair before four tune smiled on us and we found another hotel. The view from the pool. Caye Caulker, Belize. With a room overlooking the Caribbean. Surrounded by coconut palms. And two mangroves. And a wharf. The view from where I am writing. 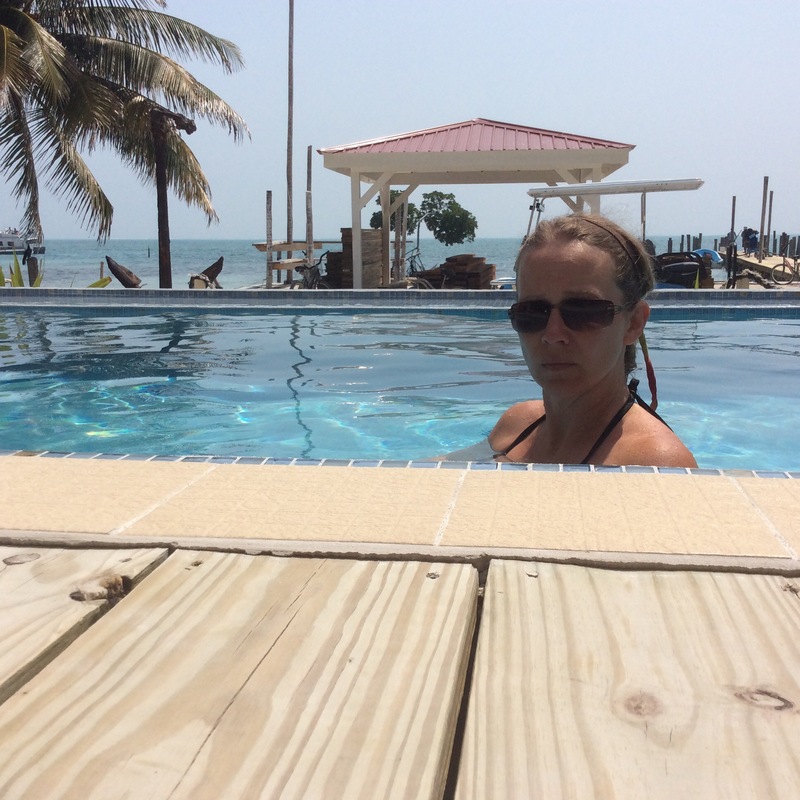 Caye Caulker, Belize. Not much to do here but eat, drink, and relax. The sun is scorchingly hot. I am learning how to cope with doing nothing. Maybe tomorrow we will snorkel on the the Mesoamerican reef, the second largest in the world. Your adventure continues…with the bumps! Looks so wonderfully tropical. Treat for Finn from us.